The '80s were all about weird combinations -- we're talking to you, leg warmers and high heels -- and radio definitely contributed its share to the pop-culture mash-up. Take The Fat Boys teaming up The Beach Boys (!) for a remake of the Surfaris' hit "Wipeout" in 1987. It was unexpected, but to paraphrase a certain peanut-butter-cup ad, it was two great sounds that sounded great together. America went for it -- it hit #12 on the Billboard charts. What was the weirdest '80s musical team-up? 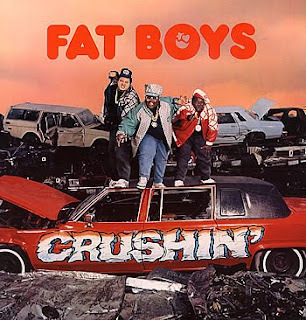 The Fat Boys also did a song with William "The Refrigerator" Perry called Chillin' with the Refrigerator. That was pretty weird. Or Are You Ready for Freddy? featuring Freddy Krueger and, again, The Fat Boys. The Fat Boys were awesome.